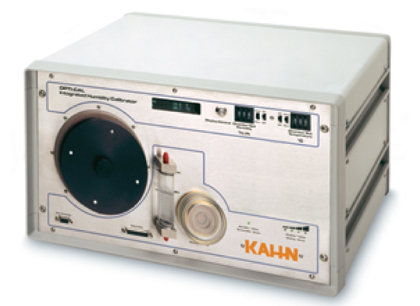 Kahn offers off-the-shelf and custom designed calibration equipment to allow independent verification of the accuracy of your Kahn or other brand humidity sensors. We can design an entire system for you or you can purchase a fully capable, standard system. 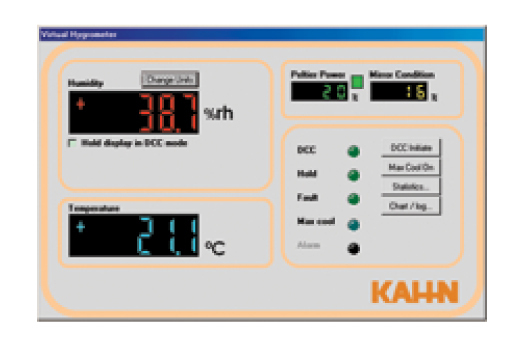 Stand-alone calibrator for relative humidity (RH) sensors providing automated humidity and temperature profiling with a built-in, NIST traceable, optical reference hygrometer. 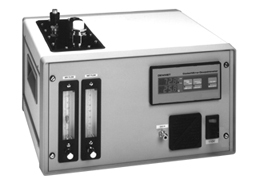 Bench-mount calibrator for manual calibration of relative humidity and dewpoint sensors including aluminum oxide, ceramic and optical probes.